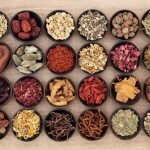 The beauty of spices can be an asset to any kitchen. Too often, however, the “spice” section of our pantry turns into a graveyard of culinary dreams: dusty jars in a dark pantry corner, waiting patiently for the holidays to make themselves known. Do you know how long it takes to use 1.5 ozs. of ground ginger? A long time. Geologic time. No one could blame us for taking spices for granted; a veritable storehouse of spices can be found in most grocery stores, as well as specialized grocers. While common today, in our early history spices were the stuff of kings; explorers traveled far in search of pepper, cinnamon, cumin, and more. Spices moved the world. 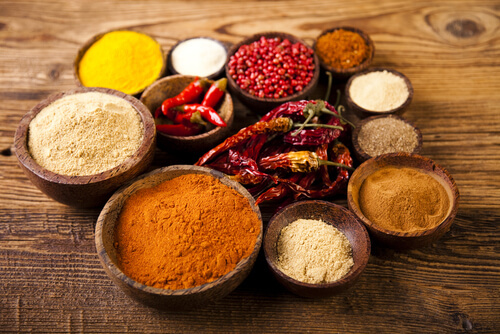 In spite of their long role in shaping human history, the shelf-life of most ground spices is about six months. Unless it’s something you use regularly, try buying the smallest amount possible, or share spices with family and friends (does anyone need some ground ginger?). When possible, store spices in whole form and grind or grate as needed (think nutmeg, for example). This will enhance flavor and preserve freshness. What about our most commonly used food additions? Upgrade the ordinary with one or more of the many types of salt, some with their own built-in grinder. Savor these (no pun intended) and enjoy the feel of daily luxury. The same holds true for pepper (note: salt is not actually a spice, but a mineral. It will keep longer than spices). Spices such as ginger, turmeric, cardamom and more are high in anti-oxidants and are considered to be a strong source of health-promoting nutrients. More on the health benefits of spices can be found here. When it comes time to organizing your spices, options abound. What works best depends on how you use them: are they used daily, weekly, or monthly? 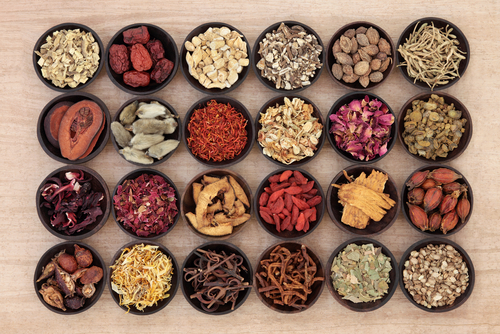 Will you organize alphabetically, or by type of spice? Do you have six spices, or sixty? Click here for 20 (20!) great suggestions on organizing storage and solutions. How will you spice up your storage of these flavorful kitchen companions? Let us know what works for you!